Dave P Fisher has been a working cowboy, rodeo rider, bronc buster, horsepacker, and guide. His adventures have taken him from his youth in Oregon to the wilds of Alaska, and all through the Rocky Mountains. He has returned to the Pacific Northwest, where the hunting is surpassed only by the fishing. Dave puts his cowboy knowledge and experiences into poems, western novels, short stories, and non-fiction outdoor articles. 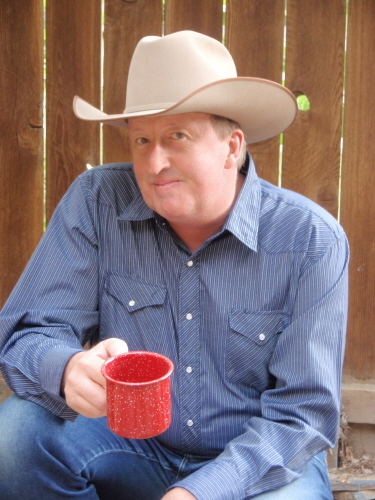 He currently has eight novels and three other western related books, along with two CD’s of cowboy poetry published. His short stories have been included in twelve anthology collections. He is internationally published, with several of his short stories winning national writing contests, and earning, to date, eight Reader’s Choice Awards. His collection of Western short stories: Bronc Buster – Short Stories of the American West has been awarded the prestigious Will Rogers Medallion Award for Outstanding Western Fiction. Aside from his western novels and short stories, Dave’s unique and original cowboy poetry and tales tell stories of the old and new West. Many of his stories and poems offer a humorous glimpse into the ways, manners, and tall tales of the cowboy culture and are offered in a spirit of good clean fun. In contrast, Dave also does some serious poems and stories reflecting on the values cowboys hold most dear. In addition to the above, Dave has also been a Film/TV/Theater actor and a former member of the Reno comedy improv troupe The Cutting Edge.